Looking at my wardrobe now, it looks like 30% of it is khaki coloured from shirts to tank tops to jackets. 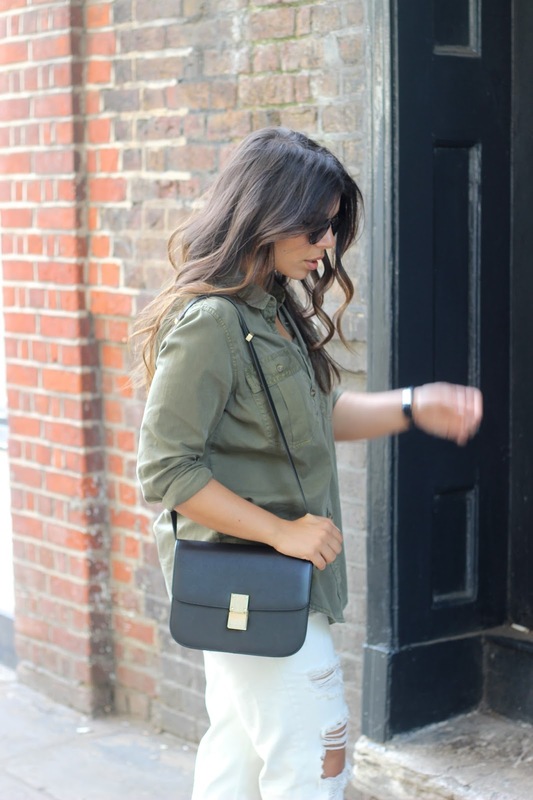 I always go back to khaki and see it as a staple colour to have after black, white and grey. It's so easy to wear, compliments most skin tones and goes with almost everything. 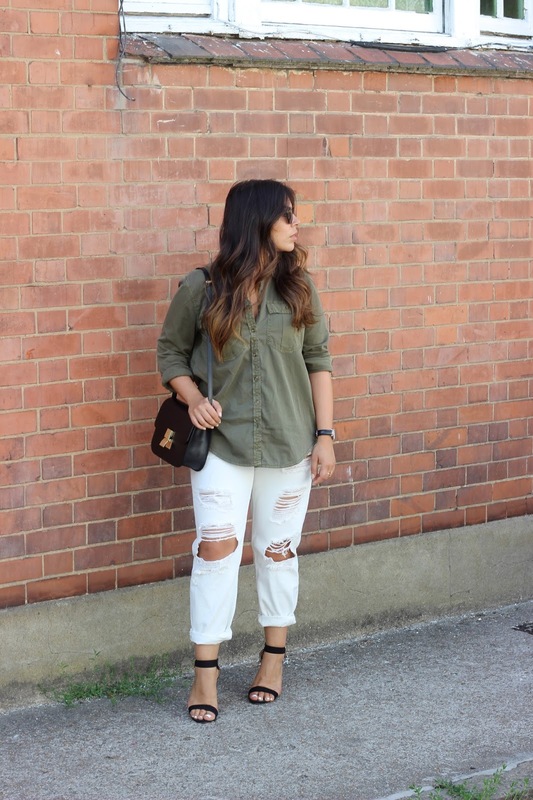 I especially love it with white in the summer and these ripped boyfriend jeans were the perfect match. To dress the outfit up I added a simple pair of barely there's (borrowed from my friend - after I realised I didn't have a pair like this in my life), my box bag and of course my favourite sunglasses at the moment. I didn't even mention them in my last post, but I finally have my hands on the Dior So Real sunglasses after months of pining after them! Thanks to my ex colleagues for buying them for me as a leaving present! I'm in love with them and you guys know I strongly believe in accessories completing an outfit and these do exactly that! I'm thinking to do an updated sunglasses collection post on here as I can't stop buying them! Let me know what you guys think..